Too many businesses focus on upper-funnel marketing, yet all marketers know it’s lower-funnel-centric marketing activity that yields the best results. And no one likes it when a prospect drops out of their lower marketing funnel. Today’s cut-throat world of highly competitive ecommerce sees more money than at any time in history being poured into all forms of digital marketing. Funnelling prospects from awareness, past consideration to conversion and beyond to the utopia of loyalty and advocacy is every online seller’s dream. So how did Travellers Autobarn use HubSpot to make more of that dream a reality? Travellers Autobarn are an award winning vehicle hire specialist leading the huge backpacker market in Australia and New Zealand. After over 25 years in business, they have outlasted all of their competitors. Their site was integrated with the cloud based vehicle rental software solution, Rental Car Manager (RCM), which handles not just their bookings and vehicle management, but much of their customer email workflows. The main challenge they faced was the high drop-off rate between consideration and conversion. After taking the time to enter their details and get a quote, many customers were simply falling out of the process, and no one knew why. In addition to this, their current solution was falling short when it came to properly storing and segmenting user data, making much of the potentially available information they needed simply unavailable. 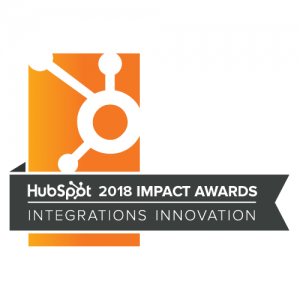 In a word, the global leader in marketing automation: HubSpot. Travellers Autobarn knew if they could just integrate the two platforms and use the best aspects from both systems, that they’d be onto a winner. As no current API existed to integrate the platforms for all of the elements required, they needed a combination of existing HubSpot APIs and a custom integration solution to identify new customers and data in the system, then enable HubSpot to sync key data fields, tag the customers and then drop them into the appropriate email workflows. And that’s what they asked us to do. Once synced, this data could then be inserted into automated emails to help further personalise the workflows to aid with follow-up and conversion. The program we built checked RCM on a regular basis for any new data, when any was identified, it would be inserted into HubSpot in batches. As well as the custom integration we also used some of HubSpot’s existing APIs, including HubSpot Contacts and HubSpot Deals. We were also able to directly integrate with their online booking forms so we could cookie and track users as they went through the booking process – providing even more data which could be used for marketing purposes. Now, as soon as a customer submits their email address their data gets pushed to HubSpot for future use. This allows us to tag them as a customer in the HubSpot platform when they complete a payment, an important step in removing them from future email follow-ups about that specific quote. The results were almost instantaneous. Within 24 hours a customer who had dropped out of the funnel after making an enquiry was retargeted and converted to a sale. They were only the first of many. Ultimately, the HubSpot integration with the RCM platform increased overall sales by 23% through a mixture of enabling efficient recording and segmentation of prospects data, then engaging those prospects with personalised and relevant content. Marketing automation isn’t simply a process of automating what was a manual process. It enables customer-centric analysis, targeting and engagement in real time, which far outstrips any manual process that ever existed. There are a multitude of service providers that provide marketing automation solutions, a comprehensive list of which can be seen here. The reason we work with HubSpot is simply that, in our opinion, they offer a superior platform than anyone else. It’s easier for non-developers to use, it’s depth of capability is huge and they’re adding new functionality continuously (and no, we didn’t get paid to say that!). If you’d like to talk to us about your digital marketing needs, or any customised development or integrations, then drop us a line and we’ll set up a call with one of our dedicated in-house HubSpot and development specialists.